Secures your device against cybersecurity issues, including viruses and trojans. Protects apps from unauthorized access by using a PIN or a fingerprint. Helps find your lost or stolen device and protects your valuable data. 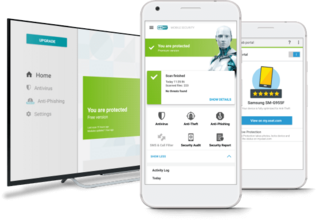 With a premium license ESET Mobile Security, you can also activate the premium version of ESET Smart TV Security as long as it was purchased through Google Play and both devices are associated with the same Google account. 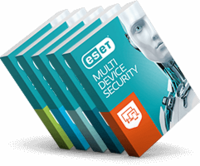 ESET Mobile Security for Android is a solid choice for protecting your smartphone or tablet with its top-notch malware protection and huge array of anti-theft and privacy-protection features. With ESET’s updated antivirus, anti-theft and security audit capabilities, users are provided with extensive security protection that other antivirus applications don’t offer. ESET provides a comprehensive security product, which impressed us with its well-implemented features. Dual SIM and rooted devices are not supported. Some features (for example, Anti-Theft) are not available on tablets that do not support calling and messaging. * Some feature functionality is OS version dependent. 1. You can download the ESET Mobile Security app and enjoy using the Premium features FREE for 30 days! 2. After this 30-day period, you can either purchase a Premium license or use the Free version indefinitely.